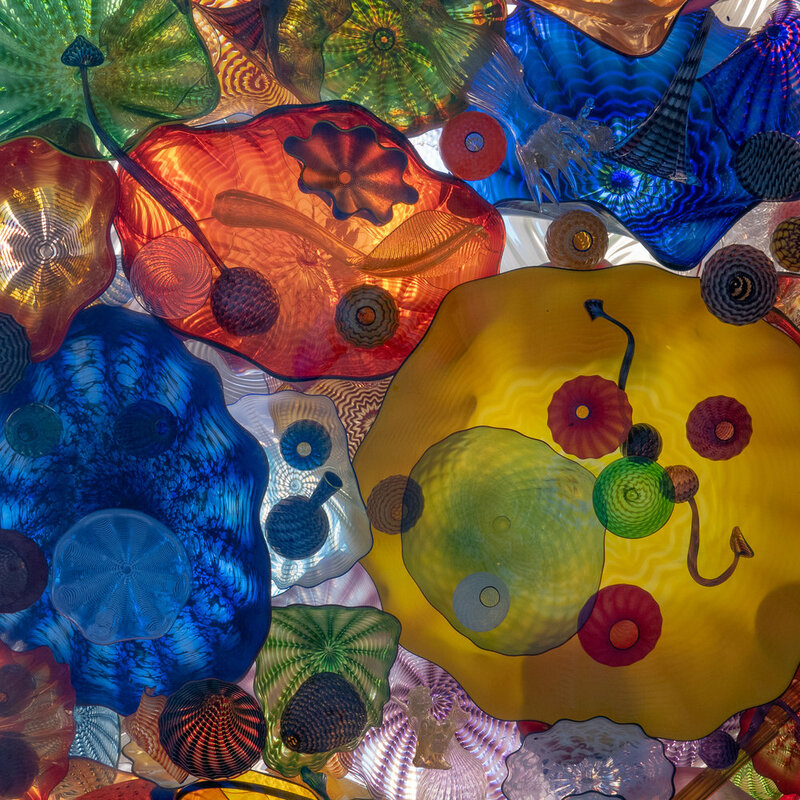 Just a few blocks from the Tacoma Dome, on the shore of the Puget Sound, just over from busy industrial shipping docks, sits the Museum of Glass. It is hard to take photographs in the rain, but in this museum, it is part of the fun. Visitors are allowed to photograph anything and everything. They do request the usual courtesy of no flash photography, and no tripods within the museum. The Psychologist's Perspective by Dr. Susan Linn: "Hands-on creative play is dismissed as old-fashioned these days, yet it is the foundation of much of what's worthwhile about being human, including divergent thinking, constructive problem solving, and the capacity to wrestle with life to make it meaningful. It is inextricably linked to creativity. At the heart of any finished creation are the moments when the artist plays, becoming lost in a process, taking risks, exploring, and experimenting without fear of repercussions." In that spirit, I was inspired to play with my camera and my blog. I agree. Play is good. 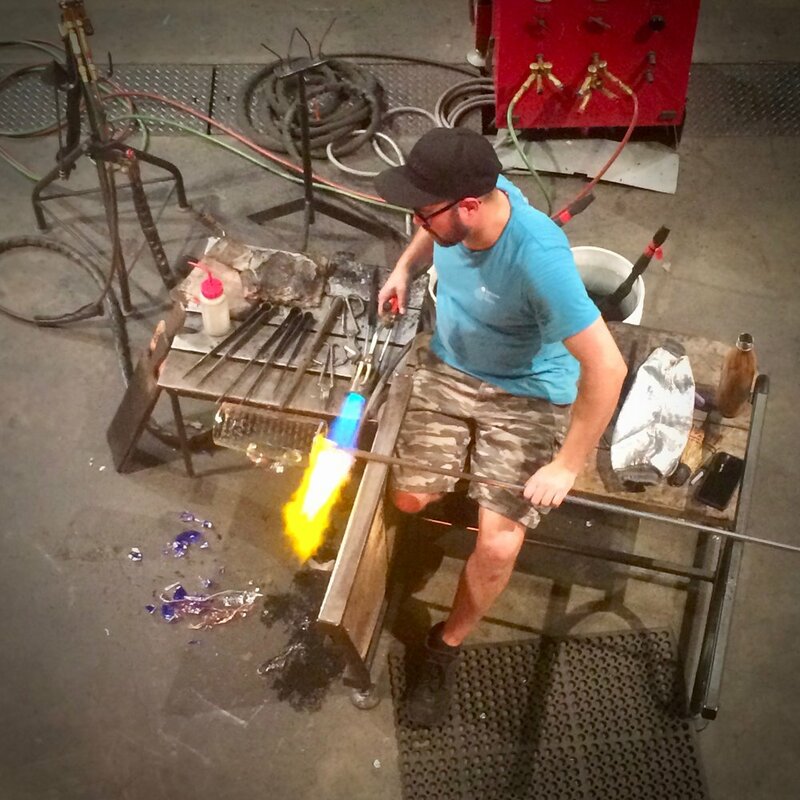 I spent my time in the Hot Shop, Art Alley - Kids Designing Glass, and the two main exhibits "Raven and the Box of Daylight" by Preston Singletary and "Foraging the Hive" by Sara Young and Tyler Budge. In the land of the famous Chihuly glass sculptures, the museum map and brochure says it well, “It doesn’t get any hotter than this.” When entering Hot Shop, you feel the heat even before you see the glow of the furnaces. The cone ceiling towers 90 feet above into darkness and the place has a certain smell about it. The audience in the bleachers watch as the gooey glass is melted, molded, tested, twisted, cut, folded and flamed. Small broken pieces sparkle, scattered about the floor under the artist's feet. "That must have made a delicate un-settling crash when it broke.” And I am reminded how much 'trial and error' is an important part of play and making art. 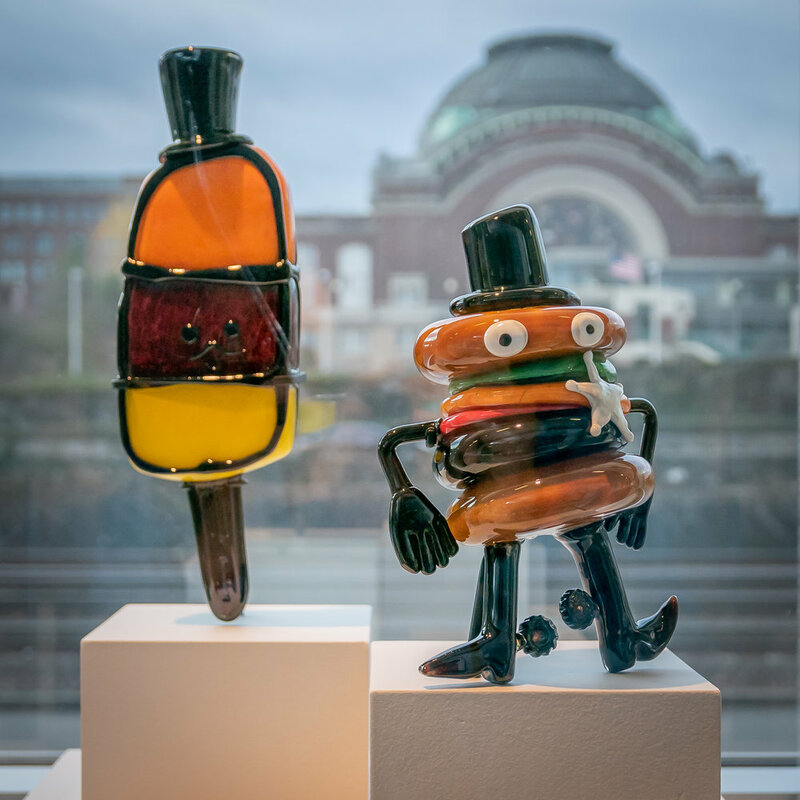 The Art Alley is displaying works designed by kids and created by the Museum of Glass Hot Shop Team. Children drew items and made a short statement about the object. All of the figures were bright, happy and expressing a unique perspective. Mr. Popsicle “is British and likes to take ice baths.” Hamburger cowboy is something the artist read about. Foraging the Hive by Sara Young and Tyler Budge floats through the gallery. Some items in the swarming tubes are familiar, some are foreign. Some items are brightly colored and others appear mostly empty. Visitors are invited to fill a test tube with a unique personal message and 'join the swarm.' The whole room gently sways with the air movement from visitors inspecting at various angles. I filled a tube and it will soon join the swarm. "Raven and the Box of Daylight" by Preston Singletary was my favorite. It is a very personal depiction of Raven's journey of transforming the world. 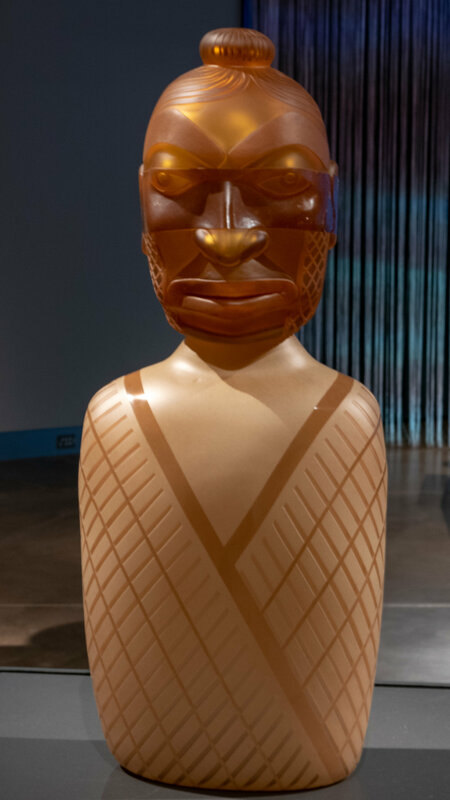 The Tlingit (“People of the Tides”) story is captivating and the glass work was mesmerizing. I wanted to look into the eyes and speak with the souls affected by raven's enlightenment of the world. The beauty of their message changed as I looked up, down and around the crowd. Faces glowing with life though shadows. Eyes darkened and moved as I moved. Textures blended with color, light, and shapes. They were trying to say something that deserved respect. The bear, the frog, the salmon, the river, and the raven all had a message. I wanted to tell each "thank you for being here to share your story with me." I tried to take them all with me as photographs. I did, of course, first ask for their permission. Afterward, we walked in the rain over the Chihuly Bridge of Glass to the old Union Station building that was also full of Chihuly glass works. "The mission of the Museum of glass is to ignite creativity, fuel discovery, and enrich lives through glass and glassmaking." I think the mission of the museum should be to have fun. Wrap yourself in the colors and shapes of light. Look beyond, get lost, find something new, and take it with you. Playing with glass is good.